Seattle is a major seaport and the largest city in the Northwestern U.S. 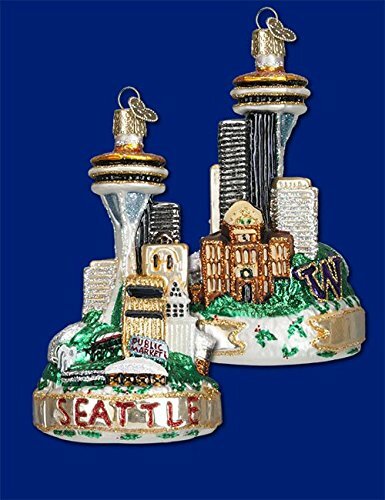 This unique glass ornament depicts some of the landmarks of this beautiful city. Most notable are the Space Needle and Monorail from the 1962 World's Fair, Pike Place Market, the Smith Tower and the Experience Music Project.